BUFFALO, NY – The future USS Little Rock LCS 9, one of the newest US Navy littoral combat ships (LCS), will make her way to Buffalo for an official Commissioning Ceremony on Saturday, December 16, 2017. A ship commissioning is an event that marks the time when a new ship officially enters the US Navy fleet. LCS 9 and her crew are expected to arrive in Buffalo on Friday, December 8, 2017 for a week-long commissioning celebration. A schedule of events for Commissioning Week (December 8 – December 17) is being finalized and will be released next week. “I was delighted to receive word this afternoon from Commander Todd Peters, Commander of the future USS Little Rock LCS 9, that the ship’s commissioning will officially take place on 16 December 2017 at Canalside in Buffalo.” commented Maurice L. Naylon III, chairman of the Commissioning Committee. The local Commissioning Committee, was established in November 2015 as a special committee under the Buffalo Renaissance Foundation, Inc. – a 501(c)(3) not-for-profit organization. 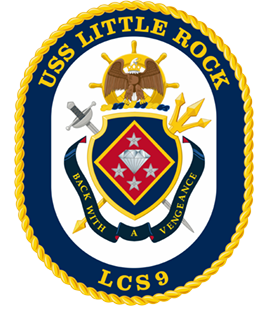 The USS Little Rock LCS 9 Commissioning Committee is a non-federal entity and not part of the Department of Defense or Department of the Navy. The Committee is an all-volunteer effort responsible for the oversight and organization of activities in support of the Commissioning Ceremony. In addition to organizing, managing, funding and producing the activities and events for the Commissioning week, the Committee is charged with raising money to fund a number of scholarships and initiatives. 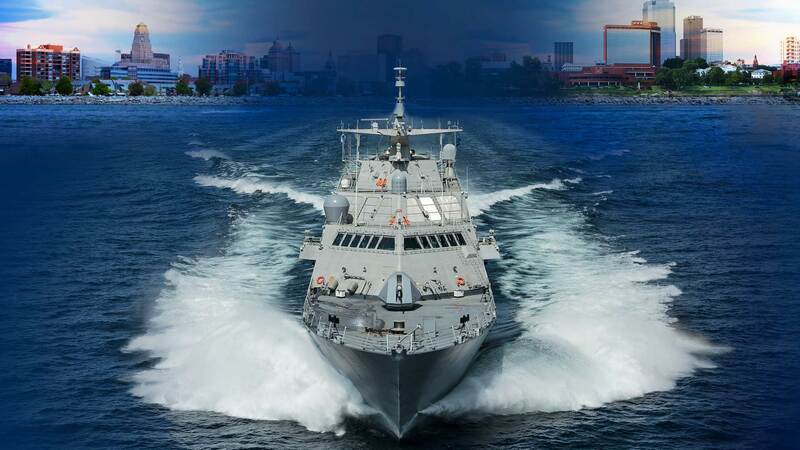 Net proceeds will benefit scholarships for students in our community as well as provide financial support for the decommissioned USS Little Rock on permanent display at the Buffalo & Erie County Naval and Military Park at Canalside. “While Buffalo has the privilege of hosting this great ship, her crew and her officers, we tip our hat to the great people of Little Rock Arkansas who are supporting this event and will share in the pride we feel in the commissioning of the new USS Little Rock LCS 9. The event is historic for LCS 9, her crew, the Navy and all of Buffalo and Western New York as this will be the first time in the 242-year US Navy history, that a new ship is commissioned alongside her namesake. The original USS Little Rock, was in service from August 27, 1944 until her decommissioning in November 1976. It is the only remaining Cleveland class ships and is now on permanent display at the Buffalo and Erie County Naval and Military Park at Canalside. In August 2015, Buffalo NY was selected as the host city for the Commissioning of the new USS Little Rock (LCS 9). The new USS Little Rock (LCS 9) is a littoral combat ship. The Littoral Combat Ship (LCS) program is a bold departure from traditional Navy shipbuilding programs based on its use of innovative acquisition, construction, manning, training and operational concepts. These lighter, faster and technologically advanced warships are designed to operate in close to shore environments. More information on the Buffalo Renaissance Foundation can be found at www.buffalorenaissance.org.